Ernie Atencio is a contributor to Writers on the Range, the opinion service of High Country News. He is New Mexico program manager for the National Parks and Conservation Association. 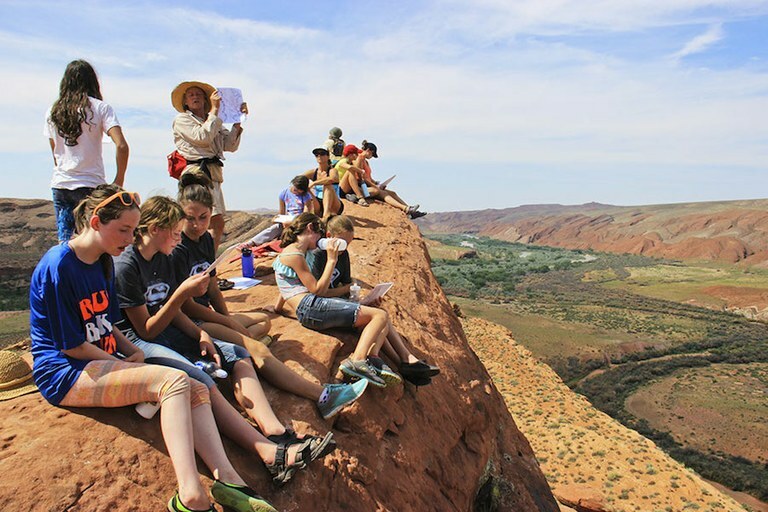 As I watch at-risk urban kids from Salt Lake City scrambling up slickrock canyons to see ancient Puebloan ruins, I see their faces come alive as they absorb their spectacular surroundings. Attitudes chill, eyes and smiles get wider. Something stirs within them. These high school and college-age youth are spending a weekend at Hovenweep National Monument in southeastern Utah through a program called YouthWorks in the Parks, which hopes to make them advocates for public lands. Later in the weekend, they will rappel into a canyon on the southern fringe of Bears Ears National Monument. There, they will have to work together and contort their bodies in creative ways to squeeze through a sinuous slot canyon. Many of these young people have never set foot in a national park; some have never camped out and seen the night sky. This ancestral homeland of Pueblo peoples with its strange and twisted landscape is new and wild to them. Until they saw it, it was utterly unimaginable to them. Now they are seeing the world through new eyes, and what they see is bigger than anything they had thought. I know these kids. I used to be one of them. Kids visit Cedar Mesa in southeastern Utah. Before finding my way back to my northern New Mexico roots, I grew up mostly in inner-city Denver. I learned the tricks of the street, got involved in some risky and illegal activities, spent time in juvy, and dropped out of high school. When I finally forced myself back into the classroom, I just wanted a high school diploma. During my recent weekend with young people from Utah, I saw the horizon shift in similar ways for these youngsters. There must be a direct correlation between experiencing the physical horizons of canyon country and finding greater vision and ambitions in life. I’ve seen it enough times to know it’s true. These kids are already on a good path. YouthWorks caught them before they slipped through the deep cracks in our educational and legal systems. They come into the backcountry confident and ambitious. The group was fascinated to learn about modern-day cultural connections to this landscape. You could hear a pin drop as they listened to a Navajo guide explain his people’s relationship to the Puebloan sites. He tells them that he ritually prepares himself before he visits one in order to honor its spirit. The kids marvel at how the ancestral Pueblo people and Indian people still live in tune with the natural world and the seasons. There is even some anger that they have not learned anything about this in school. One participant is amazed that these ancient ruins still stand, and that rangers and archaeologists work to protect them and explain them to the public. They are surprised to learn that this protected public land is their land. This idea of the commons is new but very welcome to young people who come from families whose own horizon does not usually include home ownership. And yet they learn on this weekend that they own part of a vast public estate. The new Bears Ears National Monument, Hovenweep and our other tremendous gifts of public land hold all kinds of untapped opportunities, from broadening our experience of history and the outdoors to inspiring young people and helping them find their place in the world. As the weekend draws to a close, these young people may become the next generation of park advocates or find other ways to make the world a better place. But I realize that Youthworks in the Parks can only work if there are intact places to learn about and explore.